The rusting hulk of former South African Narrow Gauge Railways NG15 Class 2-8-2 133 awaits restoration at Dinas on 7 August 2002. 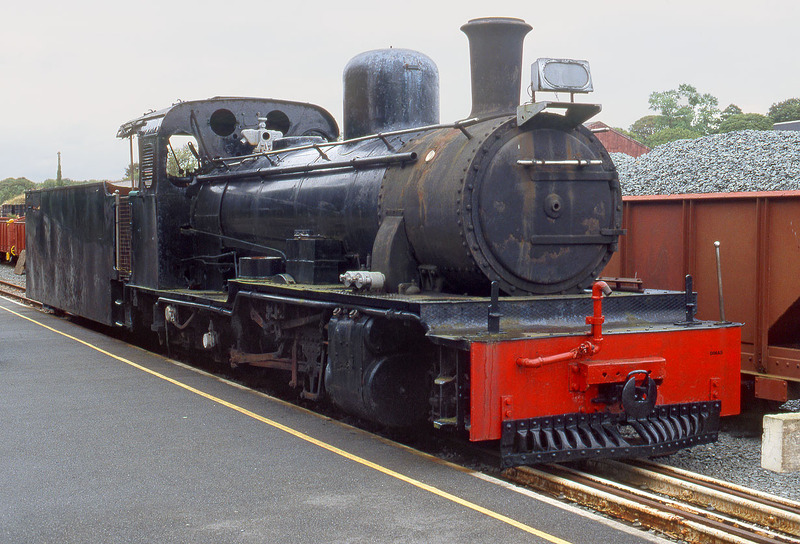 The Welsh Highland Railway (Caernarfon) acquired this 1953 Belgium built loco in 1998. Note the fully loaded ballast wagons in the background for use on the extension to Rhyd Ddu.